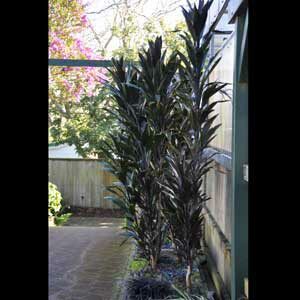 An excellent black foliaged form which thrives in warm, well drained conditions. Ideal for full sun or semi shade & great for the tropical garden theme or for pots.Prune as required & protect from all but light frost. Evergreen.